Mad Men. We love the style. The booze, the décor, the food… or well, we WANT to love the food. We love the look and the idea of the food – the eye-catching, bite-sized canapés with their olive and radish garnishes, the tangy creaminess of a good deviled egg, and even the occasional miniature hot dog floating in a sea of sweet and sour sauce. For the next few weeks, during the run of this final season of Mad Men – yes, we are still trying to come to terms at the thought of a future with no Joan(!) 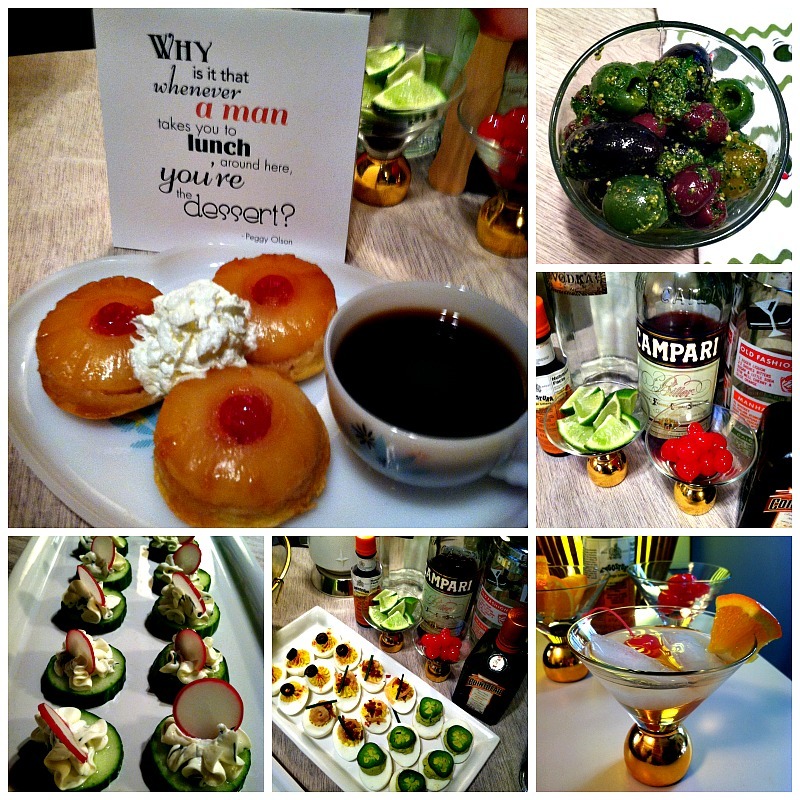 – we are going to be running a series of recipes and tips on how to throw a totally modern and yet totally retro cocktail party, that ALL your friends will enjoy. So without any further delay, here is the first recipe in our series so that you can enjoy all the food, and the fun, of the Mad Men era with decidedly less of the cream cheese that comes along with it! Combine all ingredients and let marinate for at least an hour, longer is better. 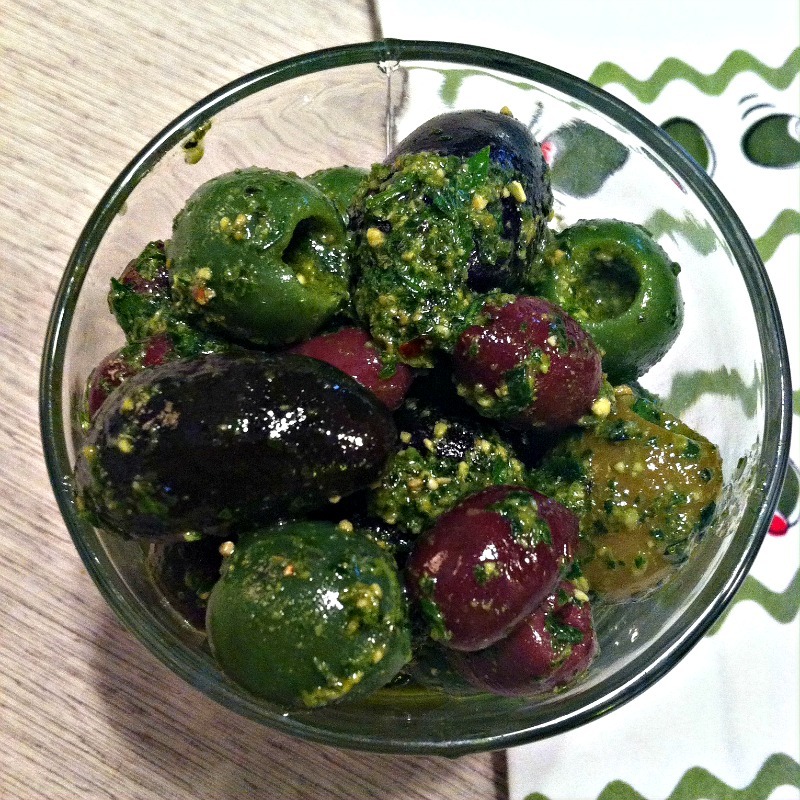 Pitted olives work best for this recipe so that the marinade can permeate the flesh of the olive, and seriously, let’s face it, there is no class way to spit out a pit at a cocktail party.